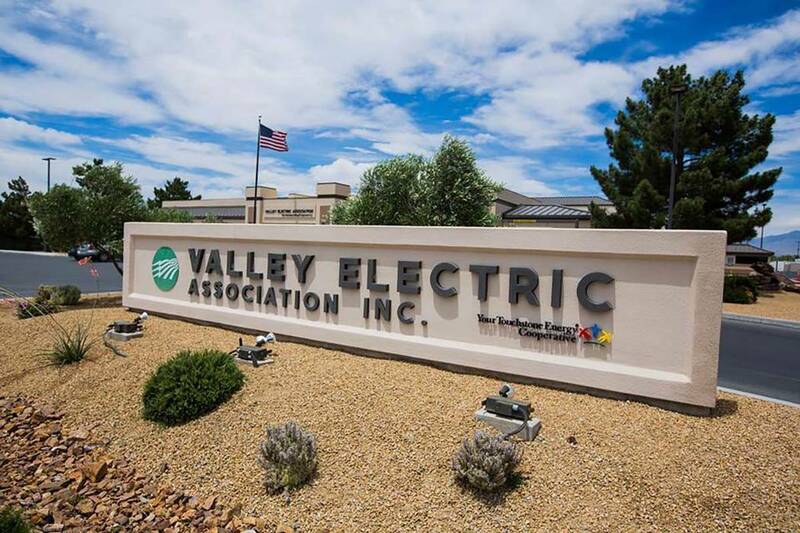 A group of members from Pahrump-based utility Valley Electric Association say the cooperative is refusing to let them oust the current board. Ken Johnson, one of the organizers behind the roughly 100-member group VEA Members for Change, said the electric cooperative failed to acknowledge the 1,100-plus signatures requesting a special meeting in which members would vote to remove select directors from its board. A Valley Electric representative said the group has failed to follow the correct steps laid out in its bylaws to request such a meeting. VEA Members for Change was formed in early February, after Valley Electric announced a 9 percent rate hike in early February. Since then, Valley Electric has been subject to a number of scandals. A search warrant from the Nye County Sheriff’s Office, released Feb. 22, alleged the rate hike — which went into effect this month — may have stemmed from former CEO Tom Husted’s use of ratepayer money to pay for a sexual harassment cover-up. On Feb. 26, CEO Angela Evans was arrested on embezzlement charges. Now, Johnson — the cooperative’s former executive vice president for broadband business — said the board is not following the cooperative’s bylaws, which state members can call a special meeting. In order to remove directors, Johnson said, members must follow a two-step process. The first is have a written request signed by at least 5 percent of the members to call a special meeting. The cooperative’s secretary would have to notify members of the special meeting at least 25 days in advance. Then, 10 percent of the membership’s signatures would be needed to hold a vote to oust directors. Valley Electric has roughly 17,500 members, and the organization collected more than 1,100 signatures — more than 6 percent of the estimated membership. Johnson said VEA Members for Change had collected just over 1,200 signatures as of early Monday afternoon. The group had planned to hold the special meeting April 20, but the VEA’s secretary would have to alert members by Tuesday to meet the 25-day notice. After notifying the secretary of the signatures March 18, Johnson said, the group received no response. He added that after the group reached out to Richard Peck, the interim CEO, it was told the utility had chosen to ignore the notice until the group took further action. Mike Hengel, Valley Electric’s executive vice president of corporate communications, said VEA Members for Change arrived at the Valley Electric offices Monday morning and handed the cooperative a copy of a blank petition. Hengel is a former editor in chief of the Las Vegas Review-Journal. Johnson argued that the bylaw doesn’t say that the members have to hand over the petition’s signatures in order to call a special meeting. Johnson said Valley Electric declined to review and validate the signatures at its office Monday morning. VEA Members for Change had originally requested the VEA pay for legal counsel of its choosing, but Johnson said the group is now seeking counsel on its own. “The gloves are truly off, and we’re going to prosecute to the fullest extent of the law,” Johnson said. If VEA Members for Change doesn’t get its request sorted in time to hold a special meeting on April 20, Johnson said, there’s a chance they’ll hold a vote to oust board members at Valley Electric’s biannual meeting on April 27. “There are five backup plans,” he said. According to statements from the Valley Electric Association, the cooperative is “a member-owned nonprofit electric utility headquartered in Pahrump.” It provides electric service to more than 45,000 people in a 6,800-square-mile service area primarily along the California-Nevada border, and has approximately 17,500 members. Stephen Bell, the director of media and public relations for the National Rural Electric Cooperative Association, a trade association, said electric cooperatives have two missions: providing reliable, affordable electricity and empowering the communities they serve.